Three tough, rugged and handsome Aussie young men in uniform. What more could you ask for? Singing and dancing?? OK! This show is comedy. This show is music. This show is dance. This show is in your face excited to be here! Woo! Starting with a dance move guaranteed to change your life, all the way to belly laughs from the world's slowest punch line you never saw coming. Woo! Did we mention we're excited?! We're Perth International Comedy Festival excited!! Suns of Fred - Excited! 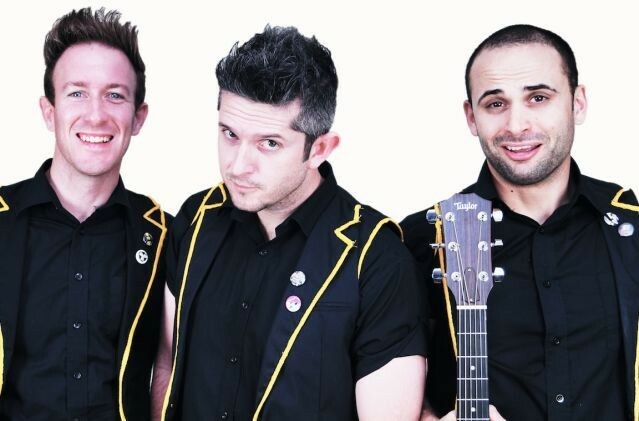 is an introduction to a comedy trio who Tim Ferguson has described as "the next gigantic thing!”. Contains occasional course language and adult themes.